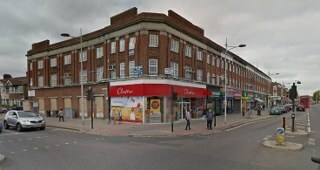 Moving to Barkingside, IG6 | Call Us Today! It doesn’t matter whether you are moving into, outside or around the capital, you can expect it to be a stressful experience. London on its best day can be a hard area to navigate, making moving items to a new property on your own tough. The best advice regarding a removal will always be to seek professional help. When it comes to professional removals services there is only one company in the Barkingside area that you should consider. Moving Service has been a staple of the community for years, meaning that our reputation amongst locals is second to none. Our removal services in Barkingside, IG6 are on hand to take the stresses of moving home off your shoulders for good. Starting with packing and preparation, all the way through to drop off and clean up, our experienced team of staff will handle it the right way. Next time you are thinking of moving a home either in to, around, or out of Barkingside, pick up the phone and call our team on 020 8746 4402, as we will always be more than happy to help. In East London, few areas are famous, largely as it was one of the original major areas identified in the first London Plan. Once a fishing and agrarian settlement in Essex, it has since shifted through various phases during it existence, including to become a market gardening, and industrial development district. Since the opening its underground connections, the population area has boomed. Acting on this the council created the Becontree estate in the 1920s, it was a landmark moment that has helped build it into the residential area as it is known today. What is less known about the area is that it has seen its fair share of famous residents over the years; these include U2’s The Edge, actress Michelle Dockery and the media proclaimed ‘Bard of Barking’ Billy Bragg. The area may not immediately offer as glamorous a feel as the rest of London, but the area has definitely seen its fair share of stars come and go over the years. 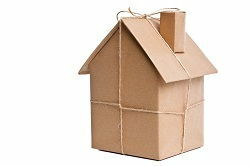 If you are thinking about relocating to the area, then don’t leave anything up to chance; speak to our removals team today. Are You Thinking of Moving to Barkingside? If you say the phrase “I’m moving to Barkingside, IG6”, you won’t hear many people question your decision. In this day and age Barkingside offers the residential setting that many crave. Getting there is often going to be a true challenge when it comes to moving to Barkingside. The easiest way to resolve this issue is to hire a professional removals company to handle it for you, and we are that very removal company. You won’t find any inexperienced staff within our ranks. At Moving Service we hire the best and only the best, meaning that no matter the size of your move, you will always be in capable hands. From transportation to clean up, you can’t rest easy knowing that we are professionals who know exactly how to get it all done the right way. It isn’t complicated to get involved with us, as when you want the best, simply email us, drop by our office, or call us on 020 8746 4402. Our removals company team in Barkingside will talk you through the entire process and give you a free quote for your move. Don’t settle for less; choose the best by speaking to us today! Extremely reliable and professional house moving company. Took time to wrap delicate furnishings, and handled any box labeled as "Fragile" with great care. Made the move to Barkingside painless and easy.